Can the principles of finding peace on a small scale be translated to the entire world? Professor Phil Levine takes a year-long sabbatical from his classroom in Hawaii to be a special assistant in foreign relations to a Washington senator. He has barely begun the position before tensions heat up with Iran. Does Iran have nuclear capabilities? Was a coup attempted on the Iranian government? What will Israel’s response be? While Phil ponders the Iranian situation, his wife takes a job teaching high-risk Washington, DC, students. Gang violence is a constant threat, yet Phil meets some extraordinary men who are making a difference in curbing the hostility. These men have discovered a code of concrete principles to lessen the violence. If gang members can learn to get along and reduce brutality, could these same principles be applied on a broader scale to achieve worldwide peace? Author Sidney Rosen, through a backdrop of politics, raises questions about the quest for peace personally, locally, and nationally. You will be invited to behind-closed-doors conversations as America’s leaders determine the best course of action against an imminent threat. The pressure to decide intensifies when the violence expands to include America. 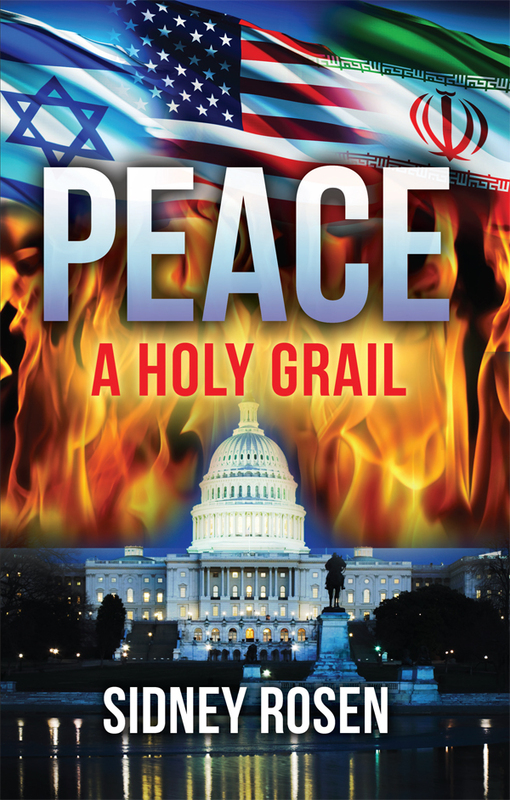 Peace: A Holy Grail explores whether peace is a condition forever to be pursued but never to be achieved. With violence so much a presence in everyday life can peace be harnessed even in our own self interest? The novel's search for answers focuses on colliding explosive interests between the United States, Iran, and Israel, but also examines a new successful humanistic approach to conflict resolution between warring youth gangs. It asks, if peace can be achieved at the micro level of violent youth why not at the macro international level? The answer unravels in the tale. The story is told through the experiences of three people associated with the office of Senator Alexander Blair(D-Hawaii); the senator, his administrative assistant Allison Kunimura, and his foreign relations special assistant Phil Levine. Each experiences love and peace within the turmoil that engulfs them. Sid was born in Mount Kisco, New York, in 1937. His family moved to Detroit, Michigan, in 1943, where he grew up. He is a product of its inner city, Wayne State University (BA and MSW), and subsequently, the University of Hawaii (PhD). He was a gang worker, executive director of Sophie Wright Settlement House, and associate director of the merged Franklin-Wright Settlements on the lower east side of Detroit before assuming a faculty position at the University of Hawaii School of Social Work in 1968. His expertise was in group theory, group psychotherapy, and community organization. He co-authored two professional books. He was also a founder of the faculty union, the University of Hawaii Professional Assembly; special assistant in foreign relations and defense to US Senator Spark M. Matsunaga (D.-Hawaii); and biographer of Congressman Cec Heftel (D.-Hawaii). He calls the founding of the gang therapy program Adult Friends for Youth the pinnacle of his professional life.